Open vSwitch (OVS) can use the kernel datapath or the userspace datapath. There are interesting developments in the kernel datapath using hardware offloading through the TC Flower packet classifier, but in this article, the focus will be on the userspace datapath accelerated with the Data Plane Development Kit (DPDK) and its new feature—partial flow hardware offloading—to accelerate the virtual switch even more. This article explains how the virtual switch worked before versus now and why the new feature can potentially save resources while improving the packet processing rate. OVN (Open Virtual Network) is a subcomponent of Open vSwitch (OVS). It allows for the expression of overlay networks by connecting logical routers and logical switches. Cloud providers and cloud management systems have been using OVS for many years as a performant method for creating and managing overlay networks. Lately, OVN has come into its own because it is being used more in Red Hat products. The result has been an increased amount of scrutiny for real-world scenarios with OVN. This has resulted in new features being added to OVN. More importantly, this has led to tremendous changes to improve performance in OVN. In this article, I will discuss two game-changing performance improvements that have been added to OVN in the past year, and I will discuss future changes that we may see in the coming year. Open Virtual Network (OVN) is a subproject of Open vSwitch (OVS), a performant, programmable, multi-platform virtual switch. OVN adds to the OVS existing capabilities the support for overlay networks by introducing virtual network abstractions such as virtual switches and routers. Moreover, OVN provides native methods for setting up Access Control Lists (ACLs) and network services such as DHCP. Many Red Hat products, such as Red Hat OpenStack Platform and Red Hat Virtualization, are now using OVN, and Red Hat OpenShift Container Platform will be using OVN soon. Networks are fun to work with, but often they are also a source of trouble. Network troubleshooting can be difficult, and reproducing the bad behavior that is happening in the field can be painful as well. Luckily, there are some tools that come to the aid: network namespaces, virtual machines, tc, and netfilter. Simple network setups can be reproduced with network namespaces and veth devices, while more-complex setups require interconnecting virtual machines with a software bridge and using standard networking tools, like iptables or tc, to simulate the bad behavior. If you have an issue with ICMP replies generated because an SSH server is down, iptables -A INPUT -p tcp --dport 22 -j REJECT --reject-with icmp-host-unreachable in the correct namespace or VM can do the trick. This article describes using eBPF (extended BPF), an extended version of the Berkeley Packet Filter, to troubleshoot complex network issues. eBPF is a fairly new technology and the project is still in an early stage, with documentation and the SDK not yet ready. 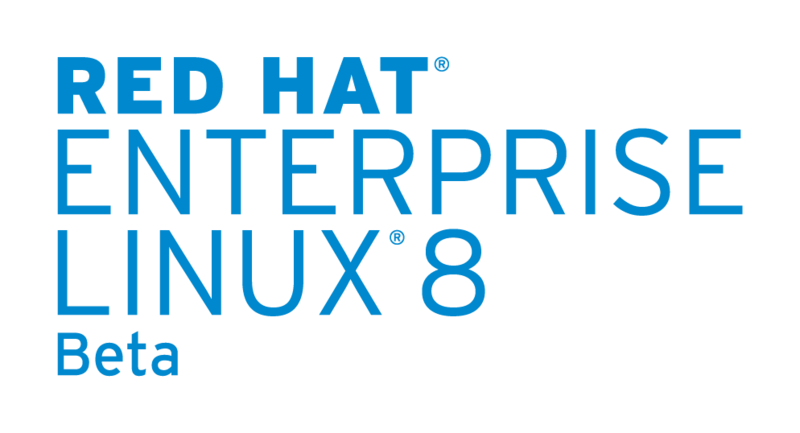 But that should improve, especially with XDP (eXpress Data Path) being shipped in Red Hat Enterprise Linux 8 Beta, which you can download and run now. In this article, I discuss external connectivity in Open Virtual Network (OVN), a subproject of Open vSwitch (OVS), using a distributed gateway router. In this article, you will see how to create a distributed gateway router and an example of how it works. It is easier to create a distributed gateway router because the CMS doesn’t need to create a transit logical switch, which is needed for a logical gateway router. A distributed gateway router supports distributed north/south traffic, whereas the logical gateway router is centralized on a single gateway chassis. A distributed gateway router supports high availability. Note: The CMS can be OpenStack, Red Hat OpenShift, Red Hat Virtualization, or any other system that manages a cloud. Linux has rich virtual networking capabilities that are used as basis for hosting VMs and containers, as well as cloud environments. In this post, I will give a brief introduction to all commonly used virtual network interface types. There is no code analysis, only a brief introduction to the interfaces and their usage on Linux. Anyone with a network background might be interested in this blog post. A list of interfaces can be obtained using the command ip link help. After reading this article, you will know what these interfaces are, what’s the difference between them, when to use them, and how to create them. In part one of this series, we explored the dynamic IP address management (IPAM) capabilities of Open Virtual Network. We covered the subnet, ipv6_prefix, and exclude_ips options on logical switches. We then saw how these options get applied to logical switch ports whose addresses have been set to the special “dynamic” value. 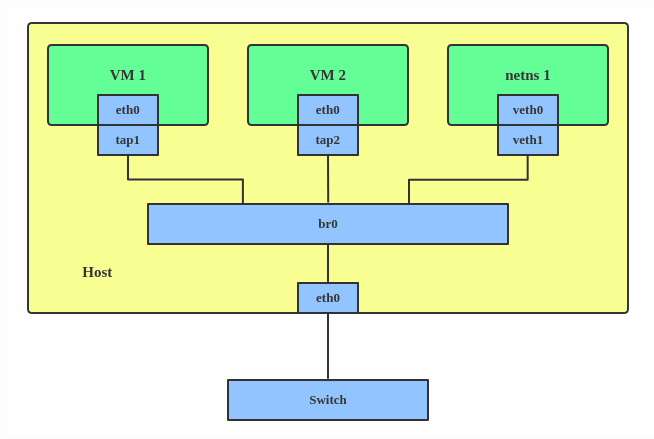 OVN, a subproject of Open vSwitch, is used for virtual networking in a number of Red Hat products like Red Hat OpenStack Platform, Red Hat Virtualization, and Red Hat OpenShift Container Platform in a future release. In this part, we’re going to explore some of the oversights and downsides in the feature, how those have been corrected, and what’s in store for OVN in future versions. When most people deploy an Open vSwitch configuration for virtual networking using the NORMAL rule, that is, using L2 learning, they do not think about configuring the size of the Forwarding DataBase (FDB). When hardware-based switches are used, the FDB size is generally rather large and the large FDB size is a key selling point. However for Open vSwitch, the default FDB value is rather small, for example, in version 2.9 and earlier it is only 2K entries. Starting with version 2.10 the FDB size was increased to 8K entries. Note that for Open vSwitch, each bridge has its own FDB table for which the size is individually configurable. This blog explains the effects of configuring too small an FDB table, how to identify which bridge is suffering from too small an FDB table, and how to configure the FDB table size appropriately. For those unfamiliar, Open Virtual Network (OVN) is a subproject of OpenVswitch (OVS), a performant programmable multi-platform virtual switch. OVN provides the ability to express an overlay network as a series of virtual routers and switches. OVN also provides native methods for setting up Access Control Lists (ACLs), and it functions as an OpenFlow switch, providing services such as DHCP. The components of OVN program OVS on each of the hypervisors in the network. Many of Red Hat’s products, such as Red Hat OpenStack Platform and Red Hat Virtualization, are now using OVN. Red Hat OpenShift Container Platform will be using OVN soon. Looking around the internet, it’s pretty easy to find high-quality tutorials on the basics of OVN. However, when it comes to more-advanced topics, it sometimes feels like the amount of information is lacking. In this tutorial, we’ll examine dynamic addressing in OVN. You will learn about IP address management (IPAM) options in OVN and how to apply them. In a few weeks, the Fast Datapath Production channel will update the Open vSwitch version from the 2.7 series to the 2.9 series. This is an important change in more ways than one. A wealth of new features and fixes all related to packet movement will come into play. One that will surely be blamed for all your troubles will be the integration of the `–ovs-user` flag to allow for an unprivileged user to interact with Open vSwitch. Running as root can solve a lot of pesky problems. 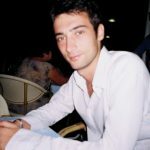 Want to write to an arbitrary file? No problem. Want to load kernel modules? Go for it! Want to sniff packets on the wire? Have a packet dump. All of these are great when the person commanding the computer is the rightful owner. But the moment the person in front of the keyboard isn’t the rightful owner, problems occur.